Lifecycles are the number one preferred bikes in the world and the lifecycle 9500HR Dove Tail recumbent bike is their Top-of-the-Line, Commercial unit. The smooth belt drive system is quiet, durable, and virtually maintenance-free. 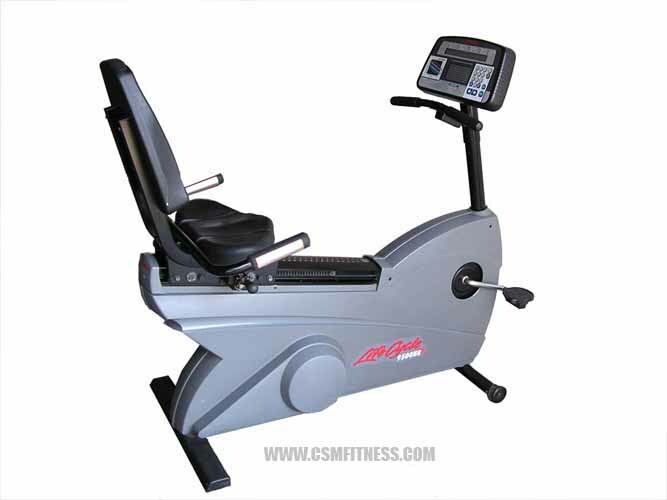 The exercise bike features Lifepulse contact heart rate and polar telemetry. The bike has ergonomically correct seats with supporting back rest to ensure comfort and posture. They can handle the daily rigors of the most demanding facilities and are exceptionally well suited for home use too.